Established in 2008, multi-award winning Evergreen Lifestyle goes beyond its retirement villages Cape Town can boast about, it's also the country’s first national retirement brand. Evergreen is proud of its reputation for building and managing exceptional villages in some of the most beautiful parts of the country. It provides all the facilities, essential services, amenities and maintenance that allows residents to relax and enjoy the important things in life; sustained health, great food, friendships and having the time of their lives. As leaders in the creation of retirement village lifestyles Evergreen promises enjoyment, satisfaction and a sustained quality of life that exceeds people’s retirement expectations. Evergreen also carries the responsibility of village management, hospitality, services and maintenance. Evergreen’s promise of a carefree retirement is extraordinary in an age where retirees expect to live well into their eighties and are under consequent pressure to sustain a quality lifestyle for the duration of their lives. This promise is met through the innovative Life Right purchase model which secures the guarantees necessary for a relaxed and stress-free retirement, by enabling residents to tailor their purchase outlay according to their circumstances: and to enjoy a lifestyle second to none in friendly, fun-loving communities. Evergreen’s architect-designed homes, cottages and apartments offer a broad choice of affordable accommodation. Lifestyle Centres in each village typically include a dining room, bistro, TV lounge, games room, library, pool, gym, salon and laundry. These centres provide the backdrop for the many village events, clubs and special interest group gatherings: they also provide Wi-Fi and modern, tailored hospitality services. Where sustained health and vitality are concerned, Evergreen’s continuous care approach is built upon discrete, friendly and experienced home-based care, supplemented by primary health care and Frail Care delivered from Evergreen Healthcare Centres. These services are managed and delivered through a partnership with national specialist provider, Unique Health. Residents’ safety and security along with lock-up-and-go convenience are key priorities at Evergreen. All villages have electric perimeter fencing and CCTV cameras. Access is strictly controlled and with around-the-clock patrols and emergency assistance at the push of a button, life may be lived without worry. Evergreen is poised to add 1000 new homes and apartments in two new Cape-Based villages and has a number of locations under consideration for further expansion in 2017. With its warm summers and magnificent mountains, Muizenberg is a sought-after retirement location. It’s an ideal area for nature lovers, within walking distance of an endless beach and a coastline dotted with charming villages. Life flows at a perfect pace in this picturesque corner of the Cape. Established homes in the village are sold out with only 5 apartments available at 2016 prices. Evergreen will shortly release their last 38 apartments. Buyers are in for a treat – all apartments offer superb accommodation, wonderful mountain and sea views and prices to suit singles’ and couples’ preferences and pockets. Careful consideration has been given to every aspect, from the layouts to the signature quality fixtures and finishes. International recognition for this flagship Evergreen Lifestyle Village includes the prestigious Bloomberg Television Best Retirement Development Africa and 5-Star Best Retirement Development South Africa (2010). Among the most beautiful of Evergreen’s lifestyle villages, Evergreen Broadacres is brilliantly positioned in the warm heart of Broadacres: just 3km north of Fourways and close to William Nicol, Witkoppen and Cedar Roads. With its stunning 2-hectare wooded green belt that attracts a host of bird species and creates a wonderful and tranquil environment, Evergreen Broadacres provides the ideal backdrop to life in this picturesque corner of Johannesburg. Evergreen’s third phase saw the introduction of 47 newly-built 3-bedroomed homes, taking the village up to 130 units. 32 of these new units have already been sold in a very tough residential market. In October construction commenced on the new Broadacres 4000m² Lifestyle Centre with its healthcare centre and 32 bed frail-care unit. The new Lifestyle Centre will serve the growth of the village with future phases seeing the introduction of a variety of apartment blocks that will answer the needs of singles and the more elderly and serve to introduce new faces and friendships to the village. Broadacres residents will benefit from the fact that the growth of the village impacts levy economics positively. Beneath the oaks of the century-old Sonnenhof Estate in the heart of the Constantia Valley, close to the Constantia Village, Evergreen Bergvliet enjoys a wonderful rural quality in a much sought-after urban setting. Homes are set in landscaped gardens and positioned to make the most of the views of the surrounding mountains. Residents enjoy the relaxed lifestyle and the many leisure facilities of the Sonnenhof Manor House, which retains the charm of yesteryear whilst offering many of the amenities and services of your typical Evergreen Lifestyle Centre. A sparkling outdoor heated pool offers swimming all year round! Plans have been submitted for the construction of an additional 13 new homes and 22 apartments at Bergvliet, as well as a new Lifestyle Centre with healthcare facilities. This will be good news to the many people who would love to move into the village. Perfectly positioned in the warm heart of the Cape’s Noordhoek Valley, Lake Michelle is an established residential estate where families and individuals of all ages enjoy life around a 22 hectare lake with its collage of islands and seven hectares of reed beds and ponds, crisscrossed by boardwalks and walkways. 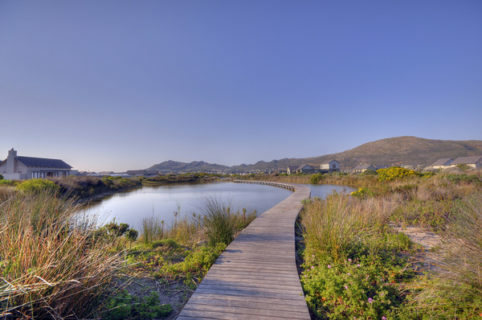 This award-winning eco estate is home to over 120 species of birdlife, fish, otters and the rare Leopard Toad. Shallow waters around the islands attract wading birds to this idyllic corner of the Cape. Secluded and idyllic, life around the lakes flows at a perfect pace. The beautiful country atmosphere provides the backdrop for an upmarket lifestyle, close to Long Beach Mall and within walking distance of Noordhoek Farm Village. With the first 32 wonderful homes already built and sold, Evergreen at Lake Michelle is becoming a true Evergreen community. The next phase will see more homes coming to market, providing the qualities that make for idyllic living which-along with the beautiful country atmosphere provide the backdrop for an upmarket lifestyle for nature lovers. The brand new Evergreen retirement complex in Diep River, Cape Town offers all the qualities that residents have come to expect from South Africa’s leading retirement lifestyle. Perfectly positioned on Alnwick Avenue in the heart of Diep River and close to local shopping, amenities and the Constantiaberg Mediclinic, Evergreen Diep River offers a wonderful community quality in a sought-after urban setting. All beautiful luxury one and two bedroom apartments, (many with spacious balconies) are sold out, with residents enjoying the wonderful interior spaces and vibrant community lifestyle. Evergreen Lifestyles operates as an independent company within the Amdec Group. Founded in 1989, Amdec is a privately-owned company with an established reputation as South Africa’s leading developer of New Urban lifestyles. Amdec’s signature developments include the iconic Melrose Arch (Johannesburg), Val de Vie, Pearl Valley, Westbrook (Port Elizabeth), The Yacht Club (Waterfront, Cape Town), XtraSpace and The Arch Property Fund. string(51) "Evergreen Head Office Retirement Villages Cape Town"
string(9526) "Evergreen Lifestyle Retirement Villages Cape Town delivers retirement living at its best Established in 2008, multi-award winning Evergreen Lifestyle goes beyond its retirement villages Cape Town can boast about, it's also the country’s first national retirement brand. Evergreen is proud of its reputation for building and managing exceptional villages in some of the most beautiful parts of the country. It provides all the facilities, essential services, amenities and maintenance that allows residents to relax and enjoy the important things in life; sustained health, great food, friendships and having the time of their lives. As leaders in the creation of retirement village lifestyles Evergreen promises enjoyment, satisfaction and a sustained quality of life that exceeds people’s retirement expectations. Evergreen also carries the responsibility of village management, hospitality, services and maintenance. Evergreen Lifestyle Retirement Villages Cape Town promises you a carefree retirement Evergreen’s promise of a carefree retirement is extraordinary in an age where retirees expect to live well into their eighties and are under consequent pressure to sustain a quality lifestyle for the duration of their lives. This promise is met through the innovative Life Right purchase model which secures the guarantees necessary for a relaxed and stress-free retirement, by enabling residents to tailor their purchase outlay according to their circumstances: and to enjoy a lifestyle second to none in friendly, fun-loving communities. Evergreen’s architect-designed homes, cottages and apartments offer a broad choice of affordable accommodation. Lifestyle Centres in each village typically include a dining room, bistro, TV lounge, games room, library, pool, gym, salon and laundry. These centres provide the backdrop for the many village events, clubs and special interest group gatherings: they also provide Wi-Fi and modern, tailored hospitality services. Where sustained health and vitality are concerned, Evergreen’s continuous care approach is built upon discrete, friendly and experienced home-based care, supplemented by primary health care and Frail Care delivered from Evergreen Healthcare Centres. These services are managed and delivered through a partnership with national specialist provider, Unique Health. Residents’ safety and security along with lock-up-and-go convenience are key priorities at Evergreen. All villages have electric perimeter fencing and CCTV cameras. Access is strictly controlled and with around-the-clock patrols and emergency assistance at the push of a button, life may be lived without worry. Expansion for Evergreen Lifestyle Retirement Villages Cape Town Evergreen is poised to add 1000 new homes and apartments in two new Cape-Based villages and has a number of locations under consideration for further expansion in 2017. Introducing Evergreen's retirement villages:  Evergreen Muizenberg - where time is measured by the tides With its warm summers and magnificent mountains, Muizenberg is a sought-after retirement location. It’s an ideal area for nature lovers, within walking distance of an endless beach and a coastline dotted with charming villages. Life flows at a perfect pace in this picturesque corner of the Cape. Established homes in the village are sold out with only 5 apartments available at 2016 prices. Evergreen will shortly release their last 38 apartments. Buyers are in for a treat - all apartments offer superb accommodation, wonderful mountain and sea views and prices to suit singles’ and couples’ preferences and pockets. Careful consideration has been given to every aspect, from the layouts to the signature quality fixtures and finishes. International recognition for this flagship Evergreen Lifestyle Village includes the prestigious Bloomberg Television Best Retirement Development Africa and 5-Star Best Retirement Development South Africa (2010). Evergreen Broadacres -  town and country living in the Northern suburbs                                                                   Among the most beautiful of Evergreen’s lifestyle villages, Evergreen Broadacres is brilliantly positioned in the warm heart of Broadacres: just 3km north of Fourways and close to William Nicol, Witkoppen and Cedar Roads. With its stunning 2-hectare wooded green belt that attracts a host of bird species and creates a wonderful and tranquil environment, Evergreen Broadacres provides the ideal backdrop to life in this picturesque corner of Johannesburg. Evergreen’s third phase saw the introduction of 47 newly-built 3-bedroomed homes, taking the village up to 130 units. 32 of these new units have already been sold in a very tough residential market. In October construction commenced on the new Broadacres 4000m² Lifestyle Centre with its healthcare centre and 32 bed frail-care unit. The new Lifestyle Centre will serve the growth of the village with future phases seeing the introduction of a variety of apartment blocks that will answer the needs of singles and the more elderly and serve to introduce new faces and friendships to the village. Broadacres residents will benefit from the fact that the growth of the village impacts levy economics positively. New residents will enjoy top quality retirement living, complete with all the facilities typical to Evergreen’s leading lifestyle villages: Evergreen Bergvliet - sun dappled days beneath ancient oaks Beneath the oaks of the century-old Sonnenhof Estate in the heart of the Constantia Valley, close to the Constantia Village, Evergreen Bergvliet enjoys a wonderful rural quality in a much sought-after urban setting. Homes are set in landscaped gardens and positioned to make the most of the views of the surrounding mountains. Residents enjoy the relaxed lifestyle and the many leisure facilities of the Sonnenhof Manor House, which retains the charm of yesteryear whilst offering many of the amenities and services of your typical Evergreen Lifestyle Centre. A sparkling outdoor heated pool offers swimming all year round! Plans have been submitted for the construction of an additional 13 new homes and 22 apartments at Bergvliet, as well as a new Lifestyle Centre with healthcare facilities. This will be good news to the many people who would love to move into the village. Evergreen at Lake Michelle - an award-winning eco-estate lifestyle Perfectly positioned in the warm heart of the Cape’s Noordhoek Valley, Lake Michelle is an established residential estate where families and individuals of all ages enjoy life around a 22 hectare lake with its collage of islands and seven hectares of reed beds and ponds, crisscrossed by boardwalks and walkways. This award-winning eco estate is home to over 120 species of birdlife, fish, otters and the rare Leopard Toad. Shallow waters around the islands attract wading birds to this idyllic corner of the Cape. Secluded and idyllic, life around the lakes flows at a perfect pace. The beautiful country atmosphere provides the backdrop for an upmarket lifestyle, close to Long Beach Mall and within walking distance of Noordhoek Farm Village. With the first 32 wonderful homes already built and sold, Evergreen at Lake Michelle is becoming a true Evergreen community. The next phase will see more homes coming to market, providing the qualities that make for idyllic living which-along with the beautiful country atmosphere provide the backdrop for an upmarket lifestyle for nature lovers. Evergreen Diep River - apartment living at its best The brand new Evergreen retirement complex in Diep River, Cape Town offers all the qualities that residents have come to expect from South Africa’s leading retirement lifestyle. Perfectly positioned on Alnwick Avenue in the heart of Diep River and close to local shopping, amenities and the Constantiaberg Mediclinic, Evergreen Diep River offers a wonderful community quality in a sought-after urban setting. All beautiful luxury one and two bedroom apartments, (many with spacious balconies) are sold out, with residents enjoying the wonderful interior spaces and vibrant community lifestyle. RETIREMENT MADE PERFECT Evergreen Lifestyles operates as an independent company within the Amdec Group. Founded in 1989, Amdec is a privately-owned company with an established reputation as South Africa’s leading developer of New Urban lifestyles. Amdec’s signature developments include the iconic Melrose Arch (Johannesburg), Val de Vie, Pearl Valley, Westbrook (Port Elizabeth), The Yacht Club (Waterfront, Cape Town), XtraSpace and The Arch Property Fund. Evergreen’s mission and vision is achieved via dedicated and focused national and regional Development, Sales and Operations divisions, along with Evergreen’s Village Management who take care of all aspects of the day-to-day running of the villages. Working together, the infrastructure is geared towards delivering Evergreen’s promise; which - in a nutshell – is ‘retirement living at its best!”"
string(156) "Multi-award winning Evergreen Lifestyle goes beyond its retirement villages Cape Town can boast about, it's the country’s first national retirement brand." string(9102) "Evergreen Lifestyle Retirement Villages Cape Town delivers retirement living at its best Established in 2008, multi-award winning Evergreen Lifestyle goes beyond its retirement villages Cape Town can boast about, it's also the country’s first national retirement brand. Evergreen is proud of its reputation for building and managing exceptional villages in some of the most beautiful parts of the country. It provides all the facilities, essential services, amenities and maintenance that allows residents to relax and enjoy the important things in life; sustained health, great food, friendships and having the time of their lives. As leaders in the creation of retirement village lifestyles Evergreen promises enjoyment, satisfaction and a sustained quality of life that exceeds people’s retirement expectations. Evergreen also carries the responsibility of village management, hospitality, services and maintenance. Evergreen Lifestyle Retirement Villages Cape Town promises you a carefree retirement Evergreen’s promise of a carefree retirement is extraordinary in an age where retirees expect to live well into their eighties and are under consequent pressure to sustain a quality lifestyle for the duration of their lives. This promise is met through the innovative Life Right purchase model which secures the guarantees necessary for a relaxed and stress-free retirement, by enabling residents to tailor their purchase outlay according to their circumstances: and to enjoy a lifestyle second to none in friendly, fun-loving communities. Evergreen’s architect-designed homes, cottages and apartments offer a broad choice of affordable accommodation. Lifestyle Centres in each village typically include a dining room, bistro, TV lounge, games room, library, pool, gym, salon and laundry. These centres provide the backdrop for the many village events, clubs and special interest group gatherings: they also provide Wi-Fi and modern, tailored hospitality services. Where sustained health and vitality are concerned, Evergreen’s continuous care approach is built upon discrete, friendly and experienced home-based care, supplemented by primary health care and Frail Care delivered from Evergreen Healthcare Centres. These services are managed and delivered through a partnership with national specialist provider, Unique Health. Residents’ safety and security along with lock-up-and-go convenience are key priorities at Evergreen. All villages have electric perimeter fencing and CCTV cameras. Access is strictly controlled and with around-the-clock patrols and emergency assistance at the push of a button, life may be lived without worry. Expansion for Evergreen Lifestyle Retirement Villages Cape Town Evergreen is poised to add 1000 new homes and apartments in two new Cape-Based villages and has a number of locations under consideration for further expansion in 2017. Introducing Evergreen's retirement villages:  Evergreen Muizenberg - where time is measured by the tides With its warm summers and magnificent mountains, Muizenberg is a sought-after retirement location. It’s an ideal area for nature lovers, within walking distance of an endless beach and a coastline dotted with charming villages. Life flows at a perfect pace in this picturesque corner of the Cape. Established homes in the village are sold out with only 5 apartments available at 2016 prices. Evergreen will shortly release their last 38 apartments. Buyers are in for a treat - all apartments offer superb accommodation, wonderful mountain and sea views and prices to suit singles’ and couples’ preferences and pockets. Careful consideration has been given to every aspect, from the layouts to the signature quality fixtures and finishes. International recognition for this flagship Evergreen Lifestyle Village includes the prestigious Bloomberg Television Best Retirement Development Africa and 5-Star Best Retirement Development South Africa (2010). Evergreen Broadacres -  town and country living in the Northern suburbs                                                                   Among the most beautiful of Evergreen’s lifestyle villages, Evergreen Broadacres is brilliantly positioned in the warm heart of Broadacres: just 3km north of Fourways and close to William Nicol, Witkoppen and Cedar Roads. With its stunning 2-hectare wooded green belt that attracts a host of bird species and creates a wonderful and tranquil environment, Evergreen Broadacres provides the ideal backdrop to life in this picturesque corner of Johannesburg. Evergreen’s third phase saw the introduction of 47 newly-built 3-bedroomed homes, taking the village up to 130 units. 32 of these new units have already been sold in a very tough residential market. In October construction commenced on the new Broadacres 4000m² Lifestyle Centre with its healthcare centre and 32 bed frail-care unit. The new Lifestyle Centre will serve the growth of the village with future phases seeing the introduction of a variety of apartment blocks that will answer the needs of singles and the more elderly and serve to introduce new faces and friendships to the village. Broadacres residents will benefit from the fact that the growth of the village impacts levy economics positively. New residents will enjoy top quality retirement living, complete with all the facilities typical to Evergreen’s leading lifestyle villages: Evergreen Bergvliet - sun dappled days beneath ancient oaks Beneath the oaks of the century-old Sonnenhof Estate in the heart of the Constantia Valley, close to the Constantia Village, Evergreen Bergvliet enjoys a wonderful rural quality in a much sought-after urban setting. Homes are set in landscaped gardens and positioned to make the most of the views of the surrounding mountains. Residents enjoy the relaxed lifestyle and the many leisure facilities of the Sonnenhof Manor House, which retains the charm of yesteryear whilst offering many of the amenities and services of your typical Evergreen Lifestyle Centre. A sparkling outdoor heated pool offers swimming all year round! Plans have been submitted for the construction of an additional 13 new homes and 22 apartments at Bergvliet, as well as a new Lifestyle Centre with healthcare facilities. This will be good news to the many people who would love to move into the village. Evergreen at Lake Michelle - an award-winning eco-estate lifestyle Perfectly positioned in the warm heart of the Cape’s Noordhoek Valley, Lake Michelle is an established residential estate where families and individuals of all ages enjoy life around a 22 hectare lake with its collage of islands and seven hectares of reed beds and ponds, crisscrossed by boardwalks and walkways. 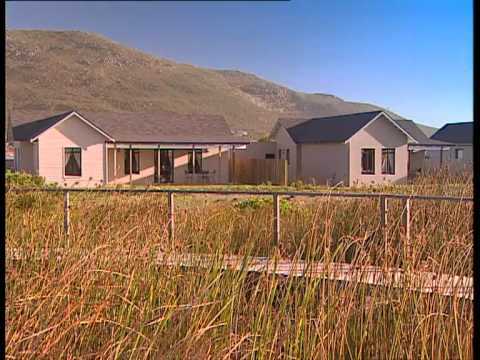 This award-winning eco estate is home to over 120 species of birdlife, fish, otters and the rare Leopard Toad. Shallow waters around the islands attract wading birds to this idyllic corner of the Cape. Secluded and idyllic, life around the lakes flows at a perfect pace. The beautiful country atmosphere provides the backdrop for an upmarket lifestyle, close to Long Beach Mall and within walking distance of Noordhoek Farm Village. With the first 32 wonderful homes already built and sold, Evergreen at Lake Michelle is becoming a true Evergreen community. The next phase will see more homes coming to market, providing the qualities that make for idyllic living which-along with the beautiful country atmosphere provide the backdrop for an upmarket lifestyle for nature lovers. Evergreen Diep River - apartment living at its best The brand new Evergreen retirement complex in Diep River, Cape Town offers all the qualities that residents have come to expect from South Africa’s leading retirement lifestyle. Perfectly positioned on Alnwick Avenue in the heart of Diep River and close to local shopping, amenities and the Constantiaberg Mediclinic, Evergreen Diep River offers a wonderful community quality in a sought-after urban setting. All beautiful luxury one and two bedroom apartments, (many with spacious balconies) are sold out, with residents enjoying the wonderful interior spaces and vibrant community lifestyle. RETIREMENT MADE PERFECT Evergreen Lifestyles operates as an independent company within the Amdec Group. Founded in 1989, Amdec is a privately-owned company with an established reputation as South Africa’s leading developer of New Urban lifestyles. Amdec’s signature developments include the iconic Melrose Arch (Johannesburg), Val de Vie, Pearl Valley, Westbrook (Port Elizabeth), The Yacht Club (Waterfront, Cape Town), XtraSpace and The Arch Property Fund. Evergreen’s mission and vision is achieved via dedicated and focused national and regional Development, Sales and Operations divisions, along with Evergreen’s Village Management who take care of all aspects of the day-to-day running of the villages. Working together, the infrastructure is geared towards delivering Evergreen’s promise; which - in a nutshell – is ‘retirement living at its best!”"